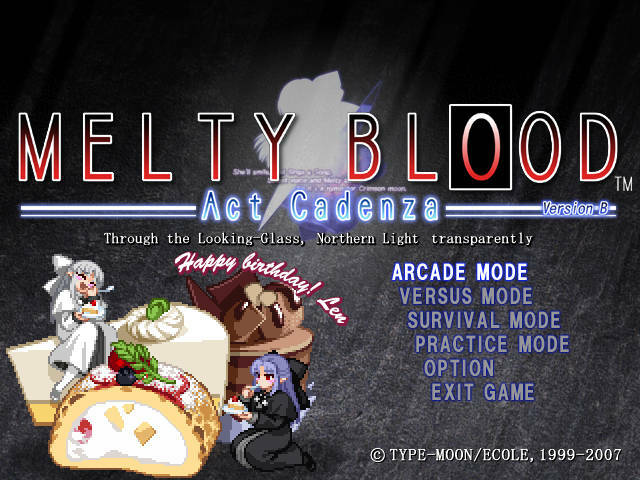 If you start the PC version of Melty Blood: Act Cadenza on 9/9, a special picture will appear featuring White Len and Len eating cake. 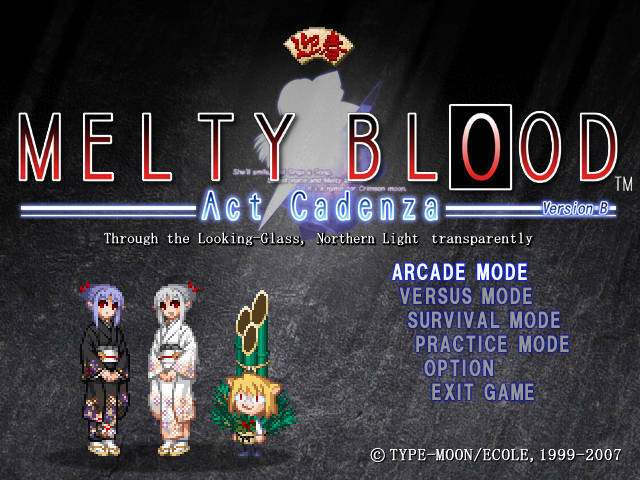 Start Melty Blood: Act Cadenza (PC version) on 1/1 and you'll have Len and White Len on the screen dressed in their Kimono outfit. 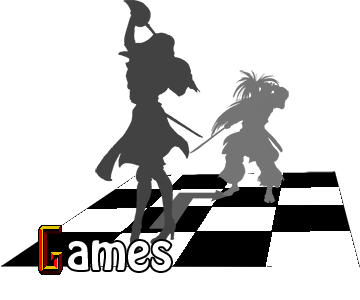 Neko-Arc is there as well with some unusual clothing. 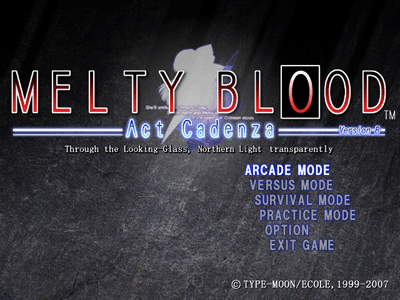 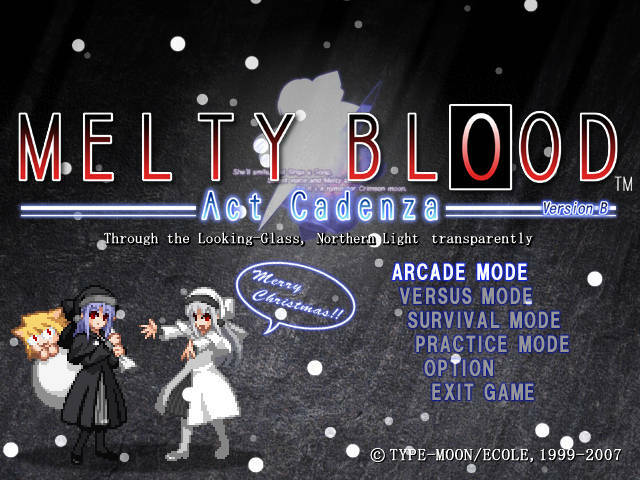 Play the PC version of Melty Blood: Act Cadenza on 12/24 and you will have a snowy screen featuring Len, White Len and Neko-Arc.